Are you one of the millions of people turning to non-steroidal anti-inflammatory drugs for conditions like arthritis, gout, or other inflammatory-related conditions? If you are, it may be time to look into natural solutions instead of subjecting your health to the many negative side effects of pharmaceutical drugs – because natural solutions do exist. In fact, one of these solutions may be resting in your spice rack right now – turmeric. There has been a growing body of research showing turmeric’s ability to help those suffering with arthritis that we are already aware of, but a recent human study further proves the spice’s true medicinal value. In the study, published in the Indonesian Journal of Internal Medicine in April, 2012, researchers compared the curcuminoid extract found in turmeric to the NSAID drug diclofenac sodium in aiding those suffering from osteoarthritis. 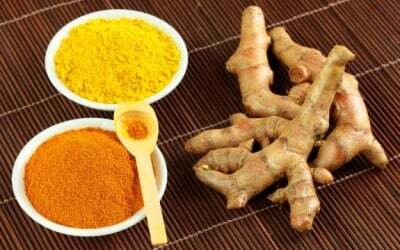 For the study, participants were given either turmeric extract in 30 milligram doses 3x daily or 25 milligrams of diclofenac sodium 3x daily for 4 weeks. After the treatment period, “aspiration of the joint as performed and the secretion of cycloxygenase-2 enzyme by synovial fluid’s monocytes was evaluated,” as reported by GreenMedInfo. The researchers found that while the drug was able to reduce inflammation, curcuminoid extract was able to significantly reduce inflammation as well. The research doesn’t showcase the negatives effects of the NSAID, but rather showcases a natural substance’s ability to perform equally well. But as we know, these drugs come with potential negative side effects. Yet another study, published in the March 2012 edition of Phytotherapy Research, also shows the effectiveness and safety aspects of curcumin in regards to arthritis treatment. The human clinical trial and single-blinded pilot study was conducted to determine whether curcumin, both separately and when combined with an arthritis drug known as Voltaren, can help individuals with arthritis. After 8 weeks, it was found that the curcumin group experienced the greatest improvement. Given the amazing healing aspects of plants and food alike, it isn’t surprising to see turmeric as a natural arthritis treatment. What’s more, the spice may even be used as one of many home remedies for gout based on the above research. how much is enough like table spoon? or ? a measurment that we could use. Fresh Turmeric is one of the main ingredients in our Herbal composition at Patcharapat for treatment of Pain, Inflammation other. From our experience and our Customers remarkable healing results we can assure it Works very well. Cynthia.. Market america has a great turmeric root product – high bioavailable.. check out igotthevitamins.com.